you'd want from a cozy Cambridge event. 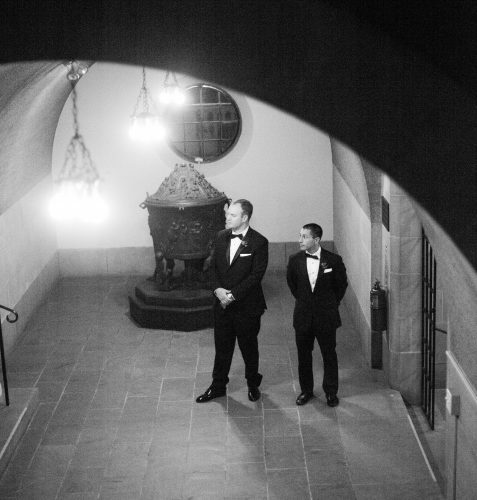 Prentiss and Joey’s wedding at the Harvard Art Museums was everything you’d want from a cozy Cambridge event. 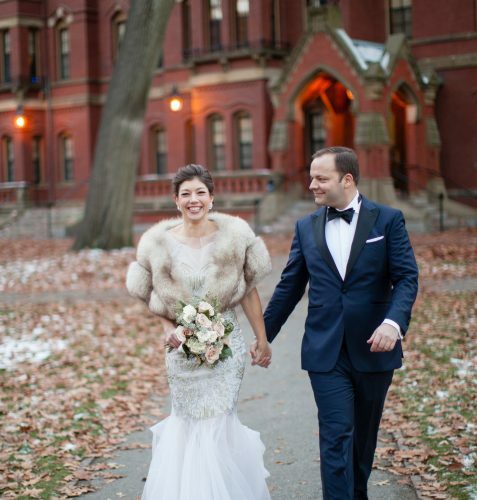 The couple, photographed by Melissa Robotti, took portraits throughout Harvard Square, tied the knot in an intimate ceremony at Adolphous Busch Hall (officiated by the bride’s brother! ), and danced under the winter stars while indoors at the Calderwood Courtyard. 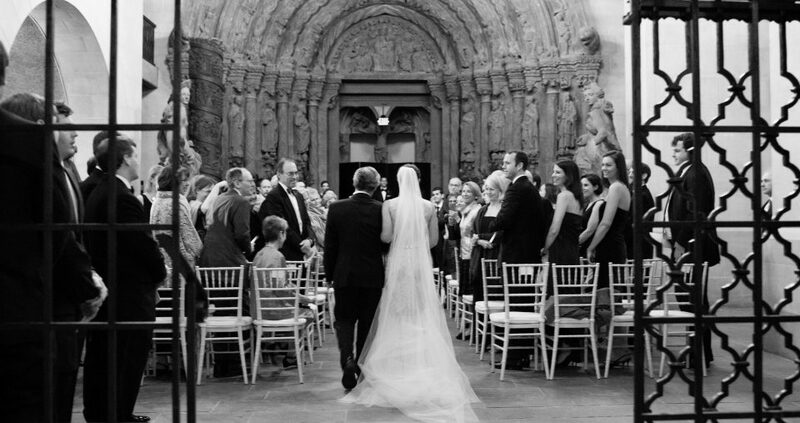 From start to finish, it was undeniably a dream wedding. But what we loved more than anything were the details! 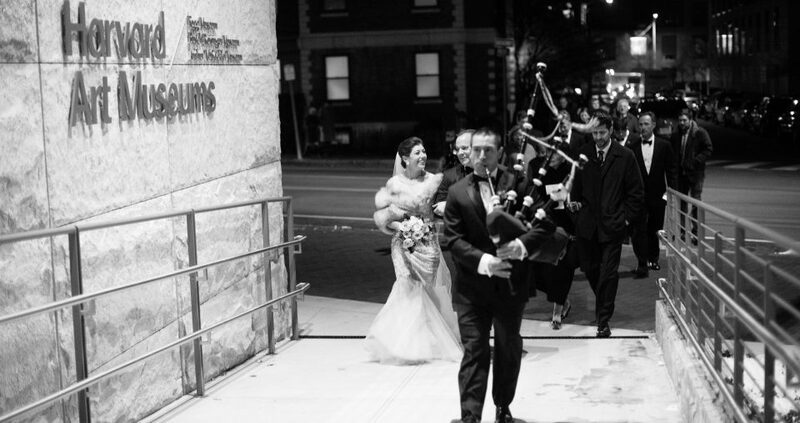 Whether it was the beading on Joey’s Badgley Mischka dress, the rosemary sprigs on the menu cards and use throughout the couple’s menu, or the groom’s college roommate leading the party from ceremony to reception with bagpipes, this wedding was all about elevating personal touches to the height of elegance. 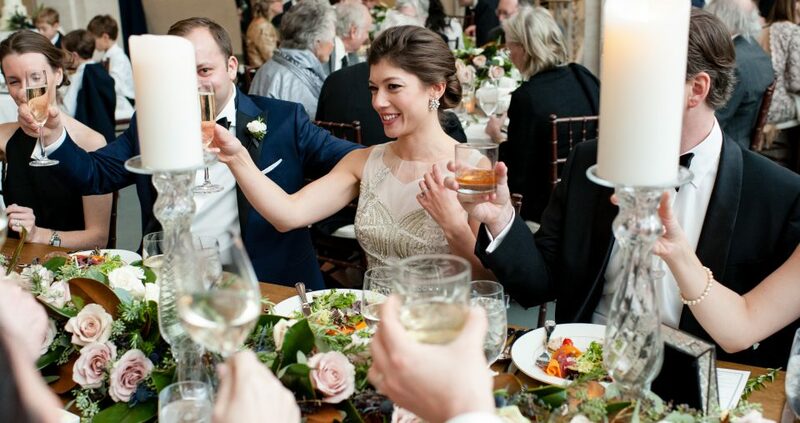 Even Joey’s stole, a family heirloom—both her “old” and “borrowed”—took a stunning look to the next level. 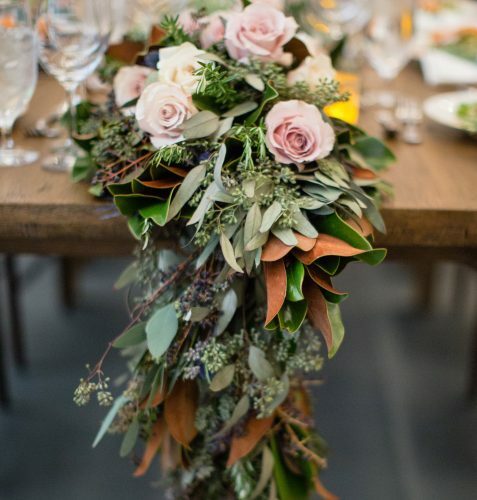 The reception décor in continued the look, with a Tuscan-style head table and lush garland centerpiece and candles. 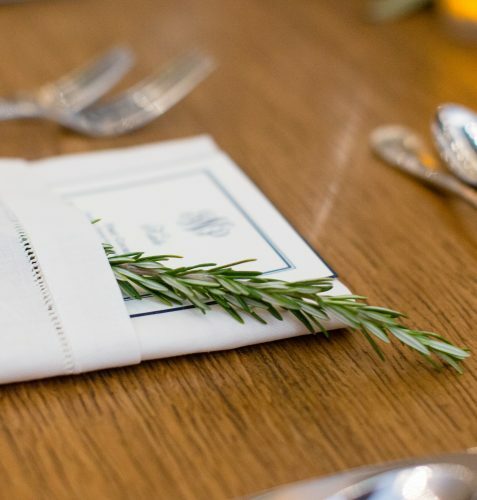 White on white linens on guest tables created a neutral backdrop for antique glass details and complementary floral centerpieces. 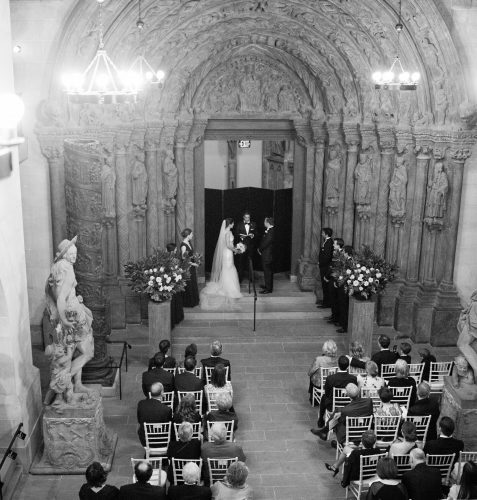 All of which blended beautifully with the classical arches of Calderwood Courtyard. 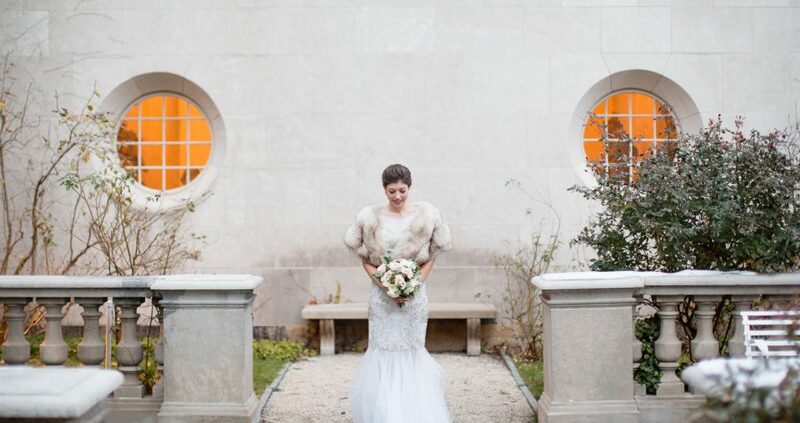 To us at The Catered Affair, this is the epitome of winter wedding chic. 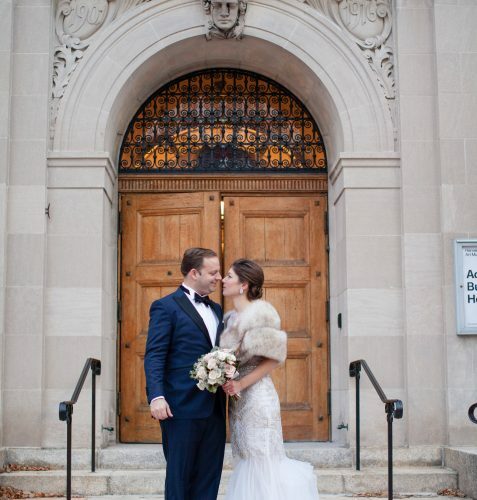 For more inspiration, check out our winter wedding board on Pinterest! 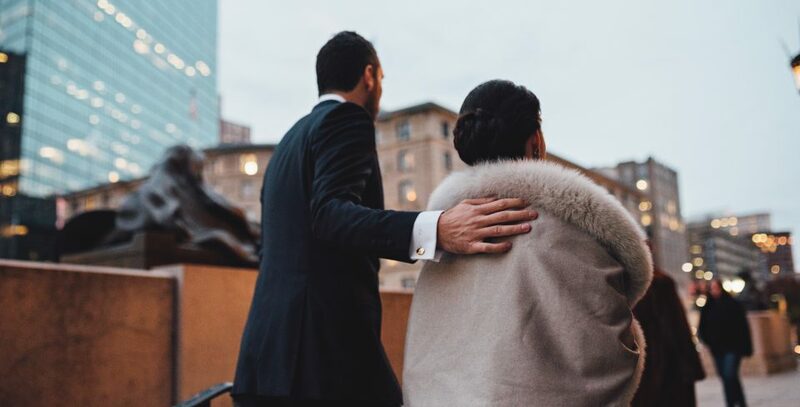 We LOVE Winter Weddings – why you will too! Spring is fresh, Summer sweet, Fall nostalgic… and Winter is ready to take you by surprise!